The National Association of Social Workers, Mississippi Chapter is calling for the immediate removal of candidate Cindy Hyde-Smith from the ballot for the U. S. Senate. Hyde-Smith, a white Republican from Mississippi, was at a speaking engagement in Tupelo and responded to praise about her from host with “If he invited me to a public hanging, I’d be on the front row.” Afterward, her official response about her comment was that she “used an exaggerated expression of regard,” and she has refused further comments. Mississippi, which has a population approximate 40 percent African American, has a history of racially motivated lynching of black people. According to the NAACP website, during the period between 1882 and 1968, Mississippi had the highest number of any state, at 581 lynchings. Suspicious incidents of hangings continue even into this year. We believe Hyde-Smith’s comments demonstrate a complete lack of understanding, judgment and empathy needed for leadership in any position. She is clearly unable to support the 40 percent of our state that is African American, and will impact all Mississippians who expect our state to move forward. Companies continue to shun increased commerce in our state due to poor education and health care outcome data. Mississippi needs to rise above the 50th percentile to improve the lives of all of its citizens. NASW, MS Chapter supports quality leadership in Mississippi and Washington who will bring our state forward. All elected leaders can accomplish this by condemning divisive and hate-motivated discourse, and demonstrate commitment to a positive, inclusive agenda. NASW Code of Ethics for social workers clearly states that we ‘respect the dignity and worth of each person’, and that ‘relationships between and among people are an important vehicle for change’. Additionally, Social Work Speaks policy statement on Racism encourages social workers ‘to combat racism and help to engrain a national ethos that respect cultural diversity while maintaining loyalty to America as a nation’. We ask that all Mississippians critically consider how our state may best move forward. Hyde-Smith’s cruel and heartless response is completely unacceptable for national, state, or local leaders in Mississippi. To the people I’m Mississippi please go out to Vote. Mike Espy is the man that need to win. She is a wife redneck racist lady Cindy Hyde. She needs to step down asap. We need to start a petition today. This lady is the devils daughter and have no business in public office. She is a very bad representation for the country and the state and anyone that votes for her should be ashamed of themselves. There’s a big difference between a public hanging and a lynching. If we had more public hangings as in days past, I imagine these senseless killings would not be near as prevalent as they are today. Nothing to do about race. The PC police these days have run amuck! Sadly, the racist idiots in Mississippi will still vote for her. Trump has emboldened them. Any other President will stay away, but, not trump… he will campaign for her. When it comes to candor we as a people expect our representatives to operate accordingly. She is not empathetic enough to help anyone from the position she sits in. We need better than what she is demonstrating. I concur pull her name off the balot. What she said was totally uncaring about any minority feelings about lynchings. I’m a member of NASW, and I am in complete agreement with them regarding Cindy Hyde-Smith being fully unqualified to move the interests of Missippians in a direction that would include all Americans who reside , live, work, and call Mississippi home. It is a shame that Mississippi has leaders in its ranks that still believe in upholding Jim Crow logic and behaviors. I will forever be mortified by the countless number of African Americans that were lynched and terrorized in this state. That was a very dark period in history that Mississippi should never want to revisit. Smith-Hyde’s comments lacked judgment, but thoroughly revealed to us her innermost beliefs and wicked mentality. Shame to her and all of those that support her racist remarks. She should not be allowed to serve the public if she can’t be a servant to ALL. Thank you NASW Mississippi chapter. We are better than this. We need a loving and kind inclusive country. Shame on you Cindy, you must not know jesus christ, You path wasn’t directs by him when you said what you said. You lean on your own understanding without God you let the devil directs your paths. God is about love not hurt. As retired social worker I can only say that I am totally appalled y this woman’s apparent lack of morally, value system, and common decency. Does she really represent the people of the State? If so, I never want to visit and I am white! She obviously is not fit for the position, what an insensitive, horrible thing to say. I oppose such comments coming from the people who are representing our states as well as our country. It is a privilege to be in such a position and to make such insensitive and cruel remarks demonstrates that you are not fit for the job. YOu are not a role model that I would want to represent myself or my children. Shame on you!! I disagree with you Deb. This group of govenment employees is particularly well informed of the hurtful, harmful impacts of Ms. Cindy and racism. 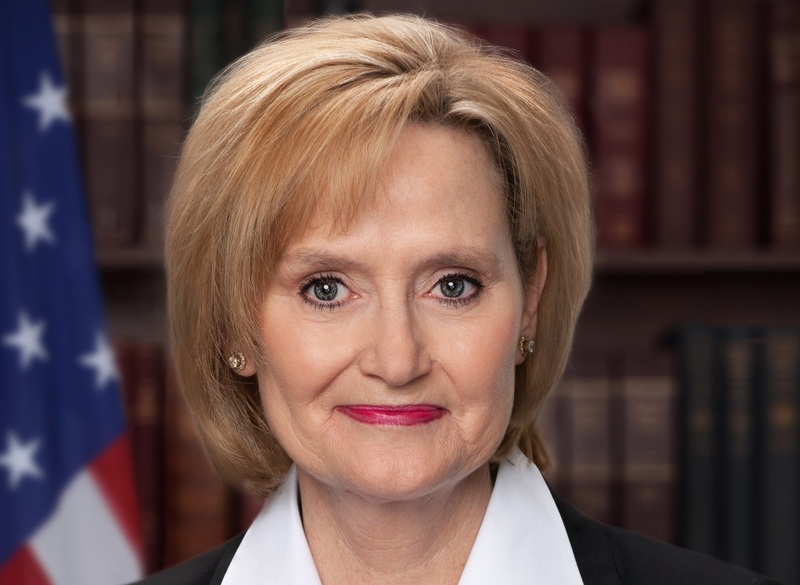 I think Cindy Hyde-Smith represents every negative cliche the rest of the nation expects of Mississippi. We can be better. I agree with all of you completely! It is disgraceful and spews hate and bigotry. There is no place in politics for this attitude!!! !